My nutrition journey began when I was a late teen… I did all the things you were supposed to… going out, eating chips at 1am, studying with a packet of biscuits tied to my desk, freaking out about the meaning of life, and generally not taking much care of myself. With that, I ended up catching the Epstein Barr Virus (glandular fever), had an awful relationship with food, and was given a diagnosis of IBS and anxiety, which didn’t really help in the slightest. Luckily though, I was shipped off to the health food shop and came away with a bag full of potions that boosted my immune system, calmed me down a bit, and kept me awake when I needed. 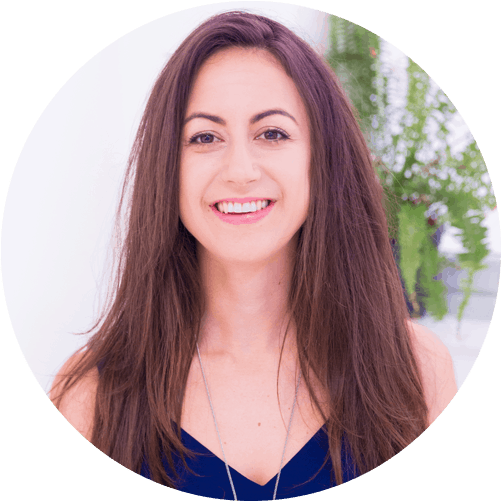 Jodie Brandman BSc, DipION, mBANT is a nutritional therapist based in London. Her specialties include female health and fertility, using functional medicine & DNA testing to support clients on the path to optimal wellbeing! Around the same time I also discovered a book on macrobiotics and enrolled on a course to learn about the healing properties and energy of food. All of this made me realise that what we put into our bodies can have a profound effect. Whilst I worked in mental health hospitals after graduating with a psychology degree, I could no longer sit by and watch medication be dished out with a slice of cake, and I wanted to things to change. I needed to know how people could heal on a more cellular level and needed some scientific evidence, so I decided to undertake 3 years of study at the Institute for Optimum Nutrition in Richmond, qualifying as a nutritional therapist. Over the past decade I’ve pretty much used myself as an experiment, trying out different diets, using various supplements, and testing many alternative therapies, in a quest to feel utterly fabulous! My mission now is to get you excited about food and inspired to take care of your health. I aim to uncover the root of illness, using techniques from functional medicine to provide individualized health plans that will suit your busy lifestyle. would you like support with your own health?